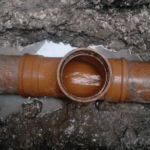 UKDN Waterflow’s no-dig technology includes a UV lining process which is a fast, cost-effective way to repair a collapsed or damaged pipe. Once cured by UV light, the high strength liner can be installed into an existing pipe, culvert or duct suitable for high load situations in diameters from 150mm to 1600mm. Fast installation makes it suitable for use near critical and high utilisation assets such as railways. This process benefits health and safety, due to reduced staff on site and is environmentally friendlier compared to traditional methods. This approach has been very effective working on behalf of Thames Water, London Underground, Crossrail and Network Rail. 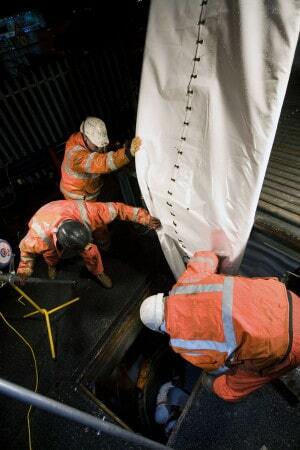 On Crossrail we installed two large UV liners at Davies Street Sewer, two challenges had to be overcome. The first was a four metre opening that allowed a branch to flow into an egg-shaped sewer, to bridge the gap a steel inflation cage forced the liner to maintain the egg shape. The second was sliding the liners through a maze of pipes, to manage this a custom-built guide flume gently turned and positioned the liners. Exceptional planning and capabilities delivered the job with minimal disruption. The Liverpool Street sewer, was in danger of collapse as a result of nearby ground-works. Our team was faced with confined spaces, difficult working conditions and operating in central London, yet still successfully installed a UV liner along a 40 metre long sewer affected by major defects and deviations. Finally we are particularly proud of recent achievements on the Sewer Crossing Rail Thames Water Contract, whereby the team installed liners at over 40 sites in 3 months, a UKDN Waterflow record!